James Michener, author of "Chesapeake" wrote his outline inside the Robert Morris Inn's tavern. "My husband and another couple visited this restaurant on June 28 and it was just as good as the first time we went in the summer of 2006. The gas pump out front throws you for a loop the first visit, but we were glad we didn't turn around and leave like we considered. The menu has some unique dishes. The baked oyster appetizer was to die for, and the guys raved over the seafood pasta. I had the pork tenderloin wrapped in the pastry which was good, but the pork was a little over cooked and I had to request a steak knife. The duck with blueberry sauce I had in 2006 was one of the best meals I ever had and definitely deserves another turn on the menu. The presentation with fresh flowers was just as it had been in 2006. The staff is of mixed ages and all were friendly and helpful, even the younger ladies. We thoroughly enjoyed it AGAIN and will definitely visit them the next time we are on the Eastern Shore." "We recently visited Latitude 38 on a summer Sunday afternoon....When we first arrived, there were only a handful of cars in the parking lot. We decided to "check it out" and wow, were we ever so glad that we went inside to experience a most wonderful crowd of "local" people having food and drinks .... and having lots of fun talking to the other folks in the area. This place is a MUST! We had the special that evening and there was more than enough for two people! By the time we left, the parking lot was overflowing with cars...and the inside was packed. We plan on going back very soon to enjoy another afternoon of great food and crowd!" "Masthead at Pier Street Marina. The film industry loves this casual locale. 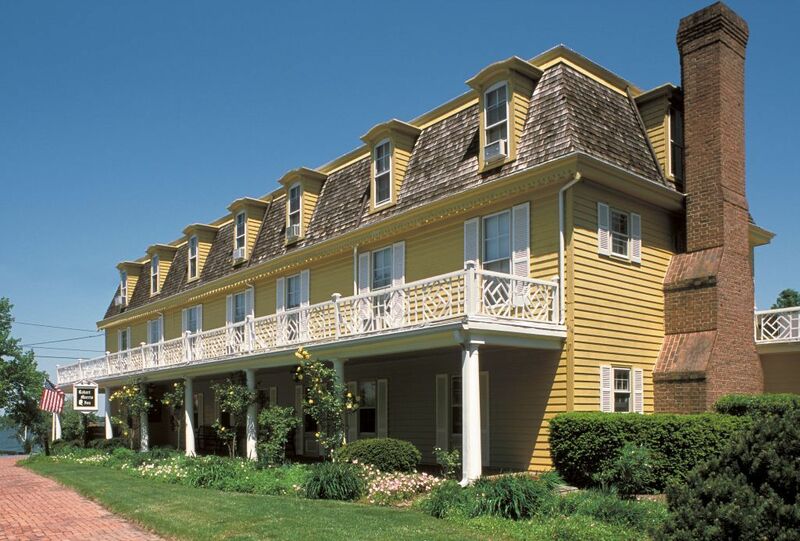 Scenes from "Wedding Crashers" were filmed at the Inn at Perry Cabin, and scenes from "Failure to Launch" were filmed at the Masthead, where you can see the table at which Sarah Jessica Parker and Matthew McConaughey shared their meal." "The food at Pope's Tavern was out of this world. We attended a wine pairing dinner with O.Fournier wines. Just wonderful." "Can't wait to go back again!! This is my favorite local's place. If you are looking for great food with a fun atmosphere this is the place for you. I have encountered a short wait time occassionally during the busy summer weekends but it is well worth it for the delicious conch fritters and steamed crabs." "Appetizers were good, although we didn't order anything complicated, mostly steamed shrimp. Most just ordered pub fair, but my burger was good. Service was pretty good. There is an outdoor bar on the deck. I would not go to this place for fine dining, but if you want decent food in a scenic setting on the water, it's a nice place." Did you have a meal in the Oxford, Maryland area that you enjoyed? Let others know and submit a post of your comments.